This unit operates both in European 400V/3 and US 208V/3 systems. 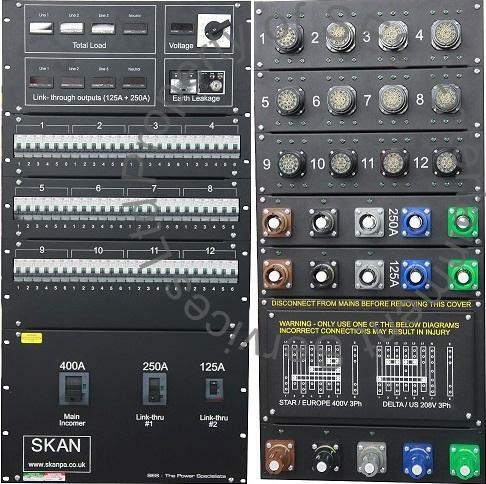 This rack was originally designed for Skan PA for the Muse World Tour. Total load individual ammeters for all 3 phases and neutral currents. Switchable volt meter showing phase to phase, phase to neutral, and neutral to earth.